One of the few authentic Bidayuh longhouses that is open to tourists is this one in Kampung Mongkos, District of Serian in Sarawak. Visitors to the longhouse have to participate in the “Mipis” ritual before entering the house. It is a ceremony to chase away unseen evil spirits. Ritual dancers curb the spirits from harming their guests by swinging a live rooster back and forth accompanied by chants and music, before guests compulsorily step on a white hen’s egg as they enter the longhouse. The crushed egg inside the “bandai” represents the evil spirit, destroyed. As the purpose of visiting this Bidayuh longhouse is to learn the culture and tradition of the tribe, guests are entertained with a range of traditional dances, performed by young Bidayuh boys and girls. According to our guide, once they enter secondary school, they no longer perform as they are then required to concentrate on their studies instead. A dance for shooing pests and diseases from the longhouse and rice fields, to the music of “Gawai Kitandang”. This is a dance that portrays the legend of the taboo marriage between Abang Dino and his younger sister Dayang Diti. As the parents and villagers were against this “Masau Tiho”, the couple eloped to the jungle and transformed into monkeys! This dance is a reminder to the younger generation that if you do not want to become a monkey, forget about getting married to a relative! The music played is called “Gawai Tutok”. A warrior dance of victory to the music of “Gawai Birabun”. A communal dance using four long bamboos where dancers try to step across them without getting their feet caught between the bamboos. The music played is “Gawai Bidumbak”. The gong is beaten louder and harder to frighten away enemies and evil spirits, signifying victory. Located near the Mongkos River, the homestay programme of Kampung Mongkos under the Tourism and Heritage Ministry, Malaysia, is managed by about twelve local Bidayuh families. The Bidayuh are the second largest ethnic tribe in Sarawak after Iban. Having spoken to a number of Bidayuhs during my trip to Kuching recently, I found that they are peace-loving people as opposed to Ibans who are known as “head-hunters”. Story has it that in the old days, the Bidayuhs were targetted by the Ibans. Therefore, in defence, the docile Bidayuhs too inevitably became “head-hunters” due to the relentless attacks. 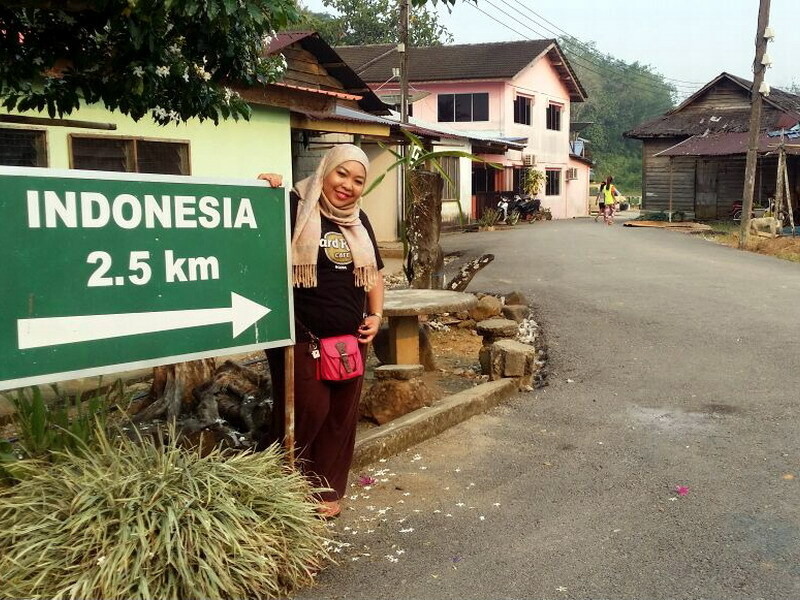 Kampung Mongkos, approximately 1.5 hours’ drive from Kuching, is situated 2.5km from the Indonesian border, with the closest Indonesian city, Pontianak about six to seven hours’ drive from the border. 3 Responses for "Kampung Mongkos Bidayuh Longhouse, Serian District, Sarawak"
Looks like the place to visit when in Kuching!